Photograph of the exterior of the Glenburn Telephone Exchange at Delta Avenue and Parker Street. A typed description on the back of the photograph reads, "Glenburn Automatic Exchange at Delta and Parker streets. To be cutover in March, 1959. / B.C. Telephone Company." 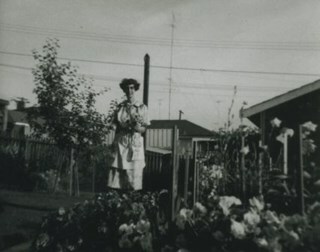 Caption at bottom of photograph reads, "British Columbia Telephone Company"
Stamp on back of photograph reads, "Photo by Graphic Industries Ltd. / File No. 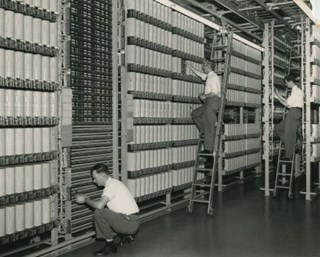 3841-2 / Vancouver, Canada Mutual 1-4174"
Photograph of three men working with rows of equipment at the British Columbia Telephone Company Glenburn Exchange at Delta Avenue and Parker Street. 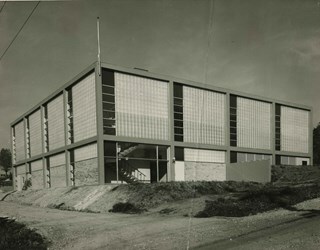 A typed description on the back of the photograph reads, "Automatic equipment being installed in the new Glenburn exchange. / B.C. Telephone Company." Stamp and annotation at bottom of photograph reads, "Williams Bros. Photographers Ltd. / 413 Granville St. Vancouver 2, B.C. 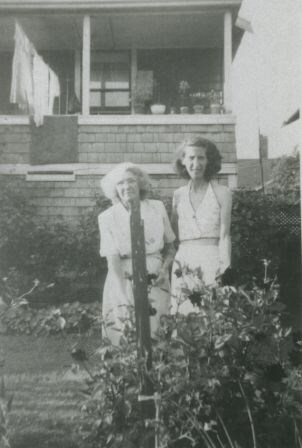 / Phone Tatlow 8588 / 06569-7"
Photograph of two women in the Stevenson family standing in the backyard of their residence. 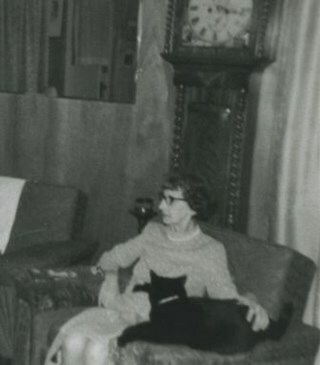 The woman on the right may be Betty Stevenson. Photograph of the site of the future Willingdon Heights United Church at 4304 Parker Street. A group of children are on the site. 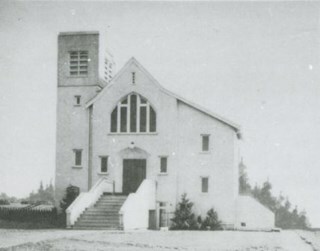 Photograph of the exterior of Willingdon Heights United Church at 4304 Parker Street. 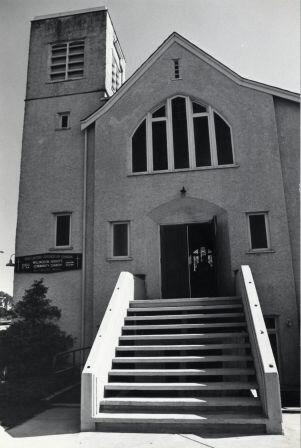 Photograph of the exterior of Willingdon Heights United Church at 4304 Parker Street, with an addition on the side. 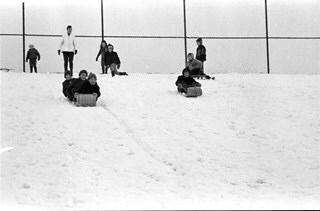 Photograph of nine children sledding on a hill at Alpha Secondary School. 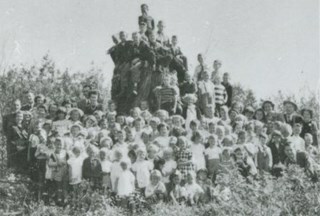 Four children and one adult can be seen standing at the top of the hill, three children are on one toboggan to the left and two children are sitting on their own sleds to the right. 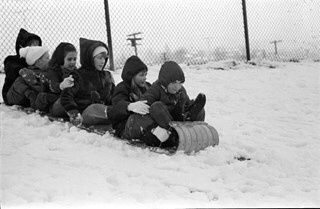 Photograph of six children sitting on a toboggan at the top of a snow-covered hill, at Alpha Secondary School. 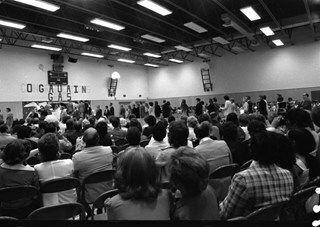 Photograph of a large crowd seated in the auditorium of Alpha Secondary School. A procession of teachers can be seen walking down the centre aisle towards the stage and a banner hung behind the stage reads: "Congratulations Grads." Photograph of Alpha Secondary School. 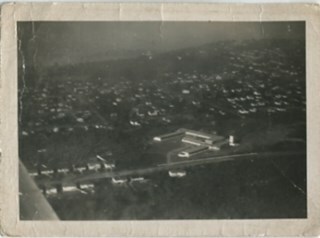 Aerial photograph of Alpha Secondary School. 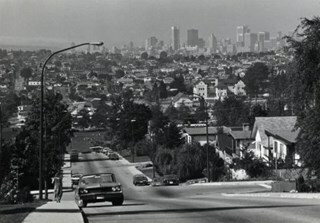 Photograph is an aerial view of Vancouver, looking west from the area of Parker Street and Gilmore Avenue with western Burnaby in the foreground. 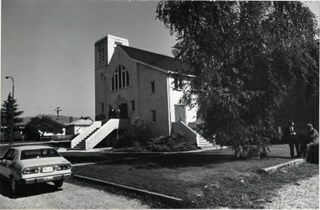 Photograph shows the Willingdon Heights Community Church, built in 1952, at 4304 Parker Street, on the corner of Parker Street and Madison Avenue. The Rev. Ward and a few members of the congregation are pictured. 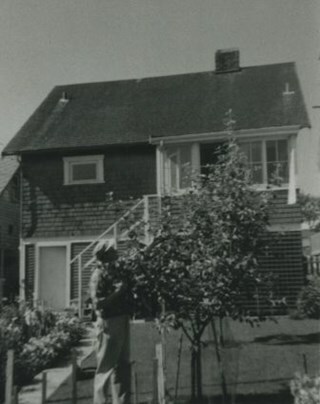 Photograph shows the Willingdon Heights Community Church, built in 1952, at 4304 Parker Street, on the corner of Parker Street and Madison Avenue. Photograph shows Rev. 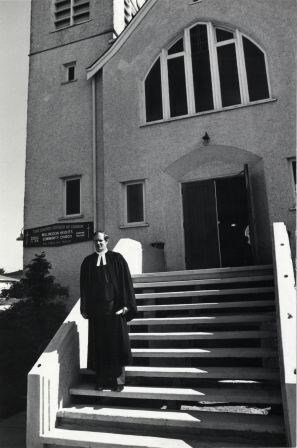 Ward standing on the steps of the Willingdon Heights Community Church, built in 1952, at 4304 Parker Street, on the corner of Parker Street and Madison Avenue. 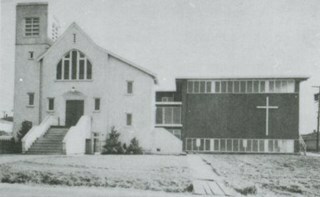 Photograph shows the Church Hall, library and lounge attached to the Willingdon Heights Community Church, built in 1952, at 4304 Parker Street. 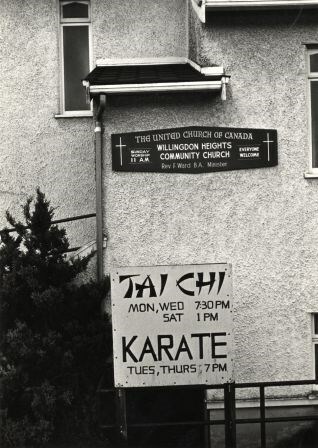 Photograph shows signs at the Willingdon Heights Community Church, advertising activities at the Church. 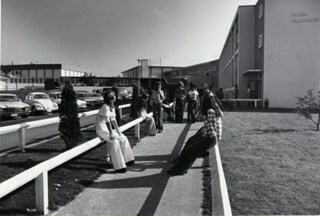 Photograph shows students outside Alpha Secondary School at 4600 Parker Street. 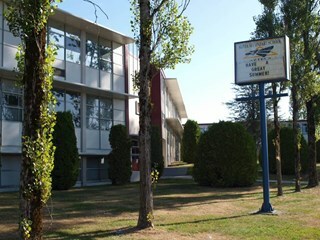 The school was built in 1950 with additions in 1953, 1968 and 1969. There were fires in 1956 and 1964 - the burnt portions were replaced and a new gym added in 1966. 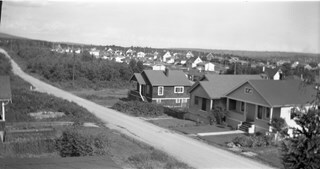 Photograph of the 4200 blocks of Parker Street, Napier Street, William Street, and Charles Street with completed houses. 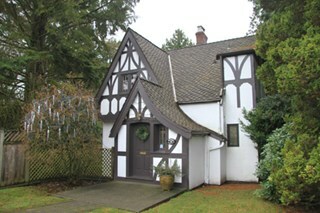 This is part of the Willingdon Heights subdivision site.